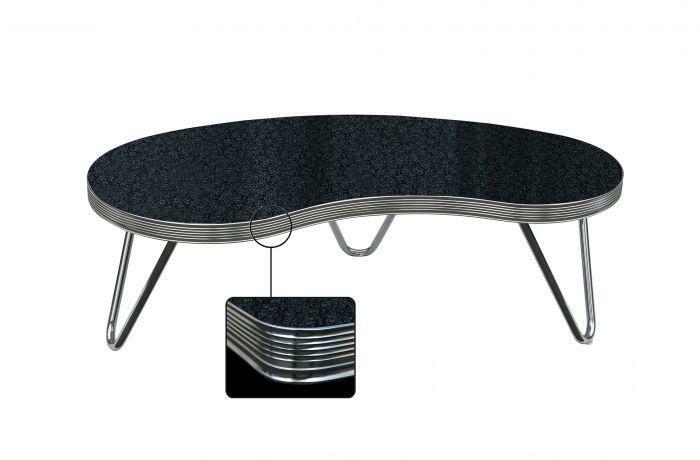 The stylish TO-18 is a side table with pipe frame. 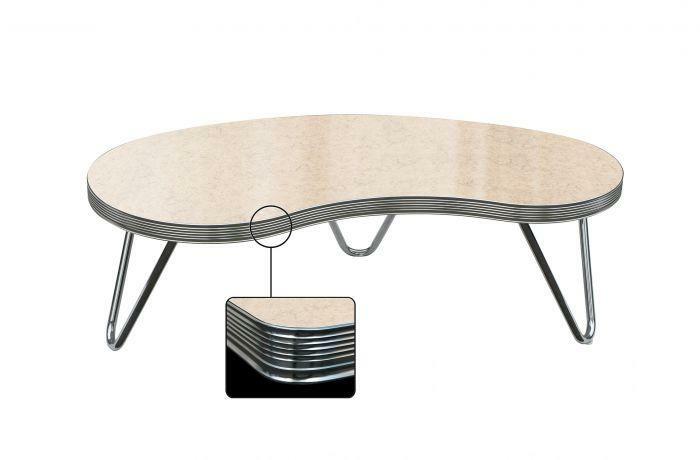 The table top is shaped like the swimming pools of the luxurious hotels that emerged in Florida in the fifties. 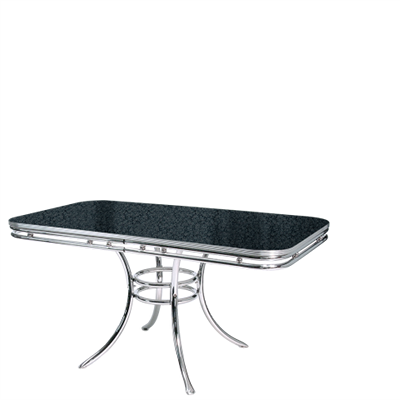 The chrome finish of this table perfectly combines with our vintage chairs.